This week we’ve been working on a lot of behind the scenes fixes, optimisations and have revamped the AI behaviour to be more efficient. 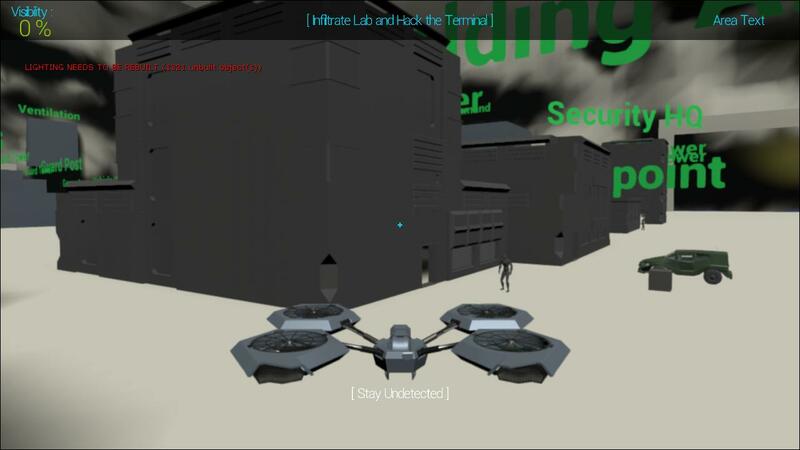 As well as this we have some really cool mockups that Sam’s been working on and the initial whitebox for what will become the first level of Daedalus. 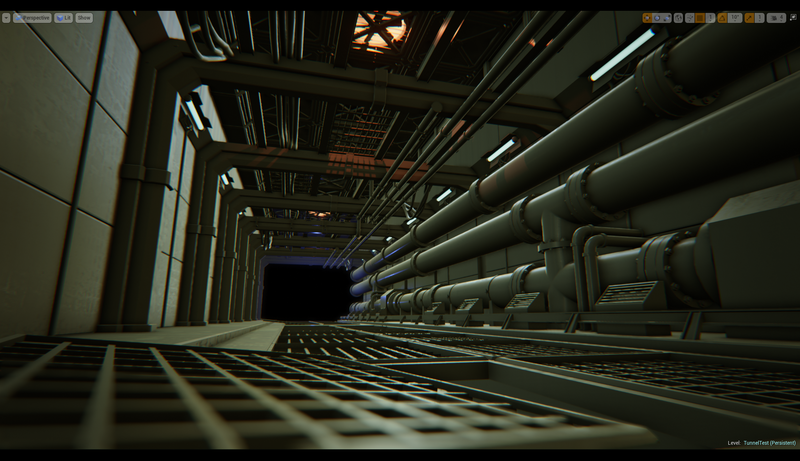 Sam’s been working on some initial environment mockups. 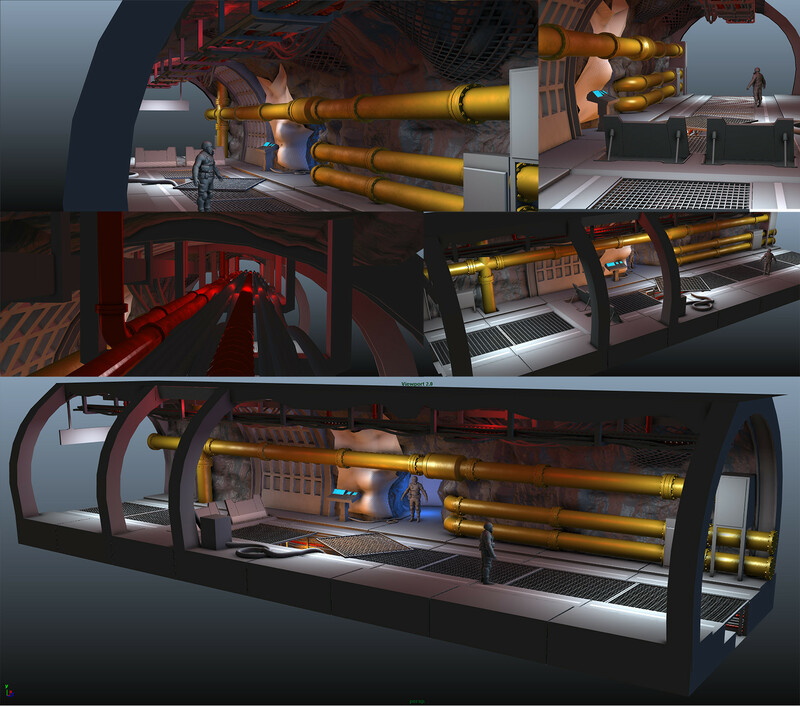 Although they’re a work in progress they already create a strong sense of atmosphere and serve to display the style we are aiming for in the environments. 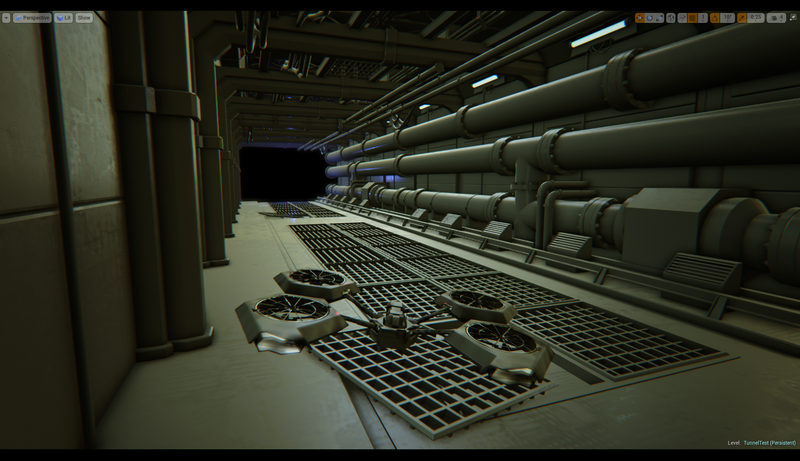 The first two pictures are screenshots of the game running in editor, and for us it’s exciting to see the new quadcopter model in a nicer looking environment. I’ve been working on the rough plan for the first level and have created a basic whitebox. 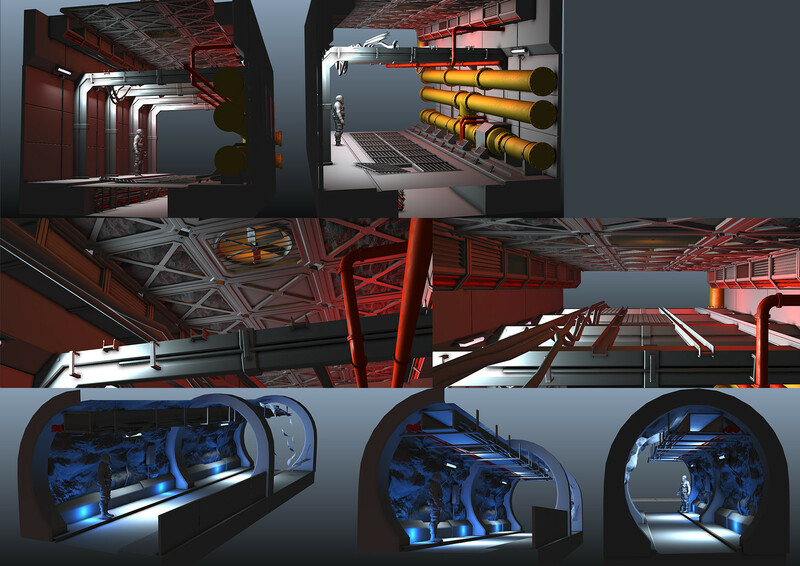 The first level is an open area that allows players to tackle some simple objectives in a variety of ways. 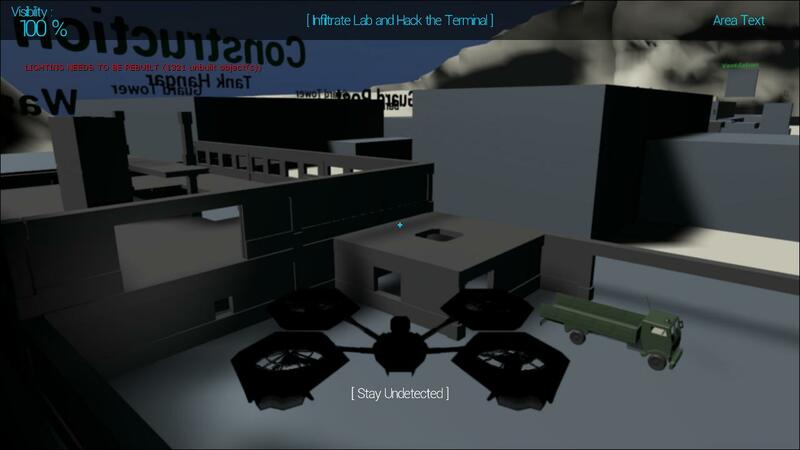 As well as this, the level will be split up into smaller areas that will eventually become multiplayer maps. This will be the main focus for level design over the next few weeks, so I’ll be posting updates on it progress in each SitRep. The basement area we worked on will be located under one of these buildings. There’s just under two weeks left to Drink Up, so ifyou are in Manchester around the 9th October and want to see Daedalus and other cool indie games, grab a ticket here and head to Shooters Sports Bar in The Printworks from 19:00. More Daedalus news next week! Thanks for reading!